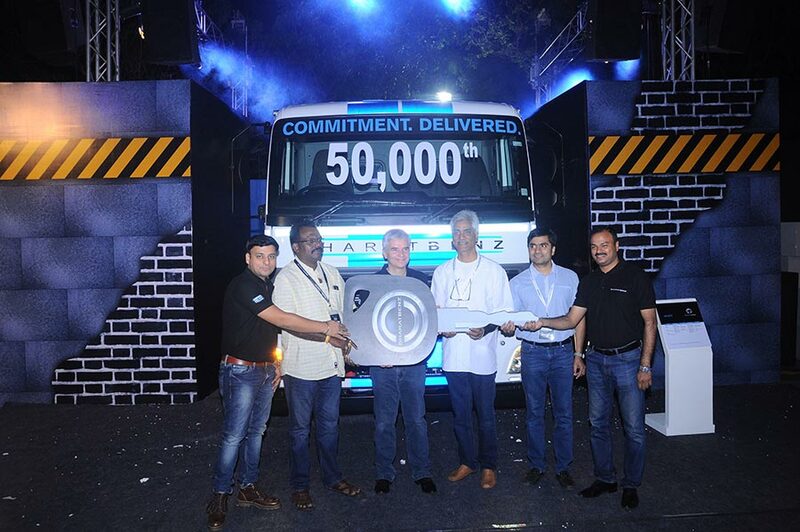 BharatBenz celebrates an important milestone with the customer handover of its 50,000th truck, which marks an unprecedented ramp-up in the Indian commercial vehicle industry. The vehicle, a 4928 TT tractor from the all-new BharatBenz heavy-duty range, was presented at a regional brand event in Hyderabad. 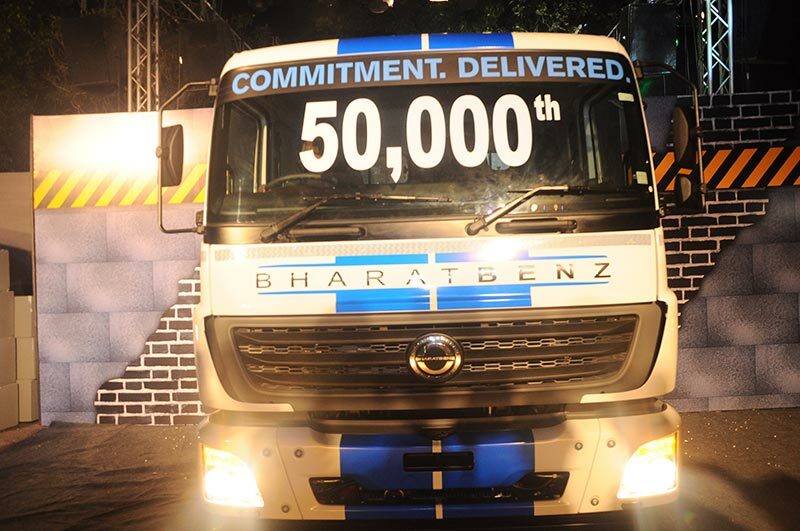 50,000 truck sales in less than five years – no other new market entrant in India has achieved this before. BharatBenz is today firmly established in the world’s toughest CV market and will continue to push the industry limits in terms of safety features, environmental friendliness and fuel economy. We have seen a very positive growth momentum following the introduction of the new BS-IV standard, and we aim to further capitalize on this. Customers understand our superior BS-IV solution based on proven SCR technology. They also clearly appreciate the host of additional features that our new BharatBenz heavy-duty range offers, true to our ‘Profit Technology’ tagline.